If you have any questions about the FIRST LIGHT information page below please contact us. 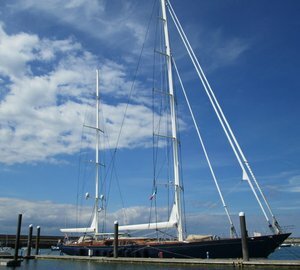 Luxury sailing yacht First Light is a majestic 92-foot pilothouse sloop, launched by Taiwan-based shipyard Ta Chiou Chou in 2006. Destined for extensive long distance cruises, superyacht First Light has been entirely designed by Fontaine Design Group. Ideal for a comfortable extended life on board, luxury yacht First Light provides elegant and spacious accommodation to up to 8 guests in one master cabin, two twin guest cabins and two Pullmans. In addition, there is a well-appointed galley, a laundry facility, as well as ample accommodation for a professional crew of 4 members. Made of composite, the 92-foot super yacht First Light, hull 92001, can achieve a comfortable top speed of 12 knots and a cruising speed of 11 knots. 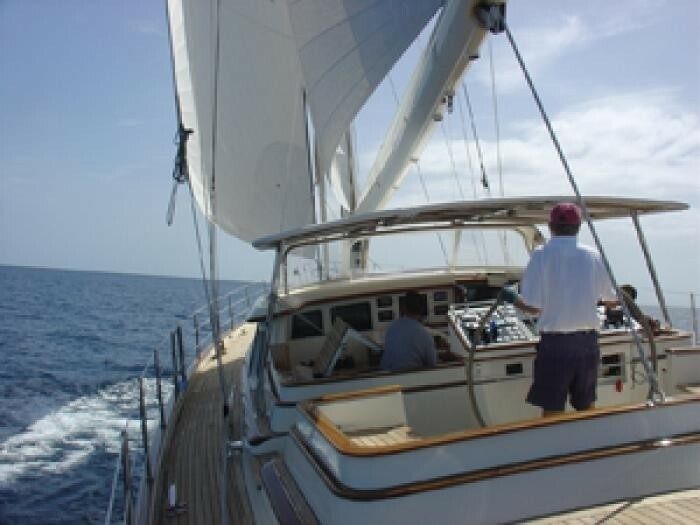 MCA compliant, she is powered by a single Lugger L6108 diesel engine. 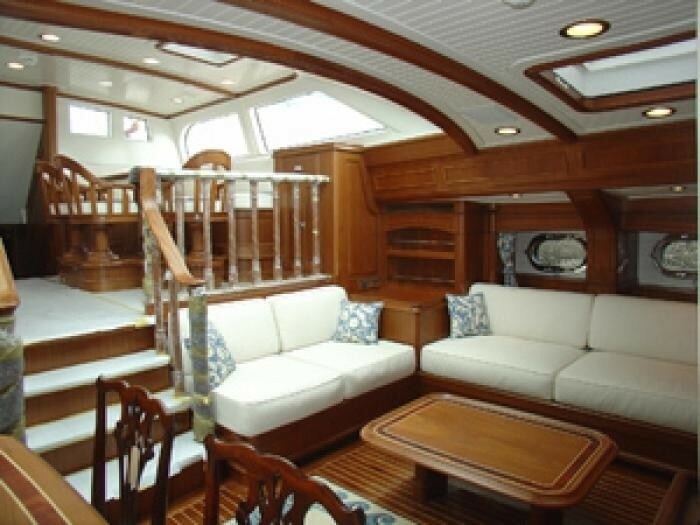 A total number of 8 guests are provided with maximum comfort aboard First Light yacht. Accommodation is divided into 4 well appointed cabins, including one master cabin, two twin guest cabins and two Pullmans. There is also space for a friendly crew of 4 professionals. 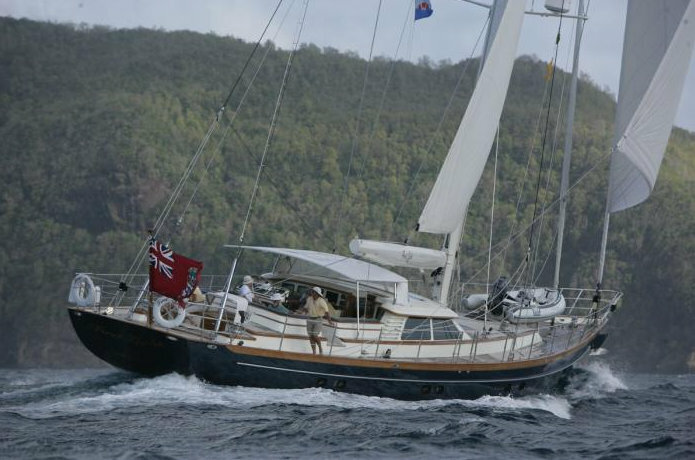 We do have available further amenity, owner and price information for the 27.92m (91'6'') yacht FIRST LIGHT, so please enquire for more information. 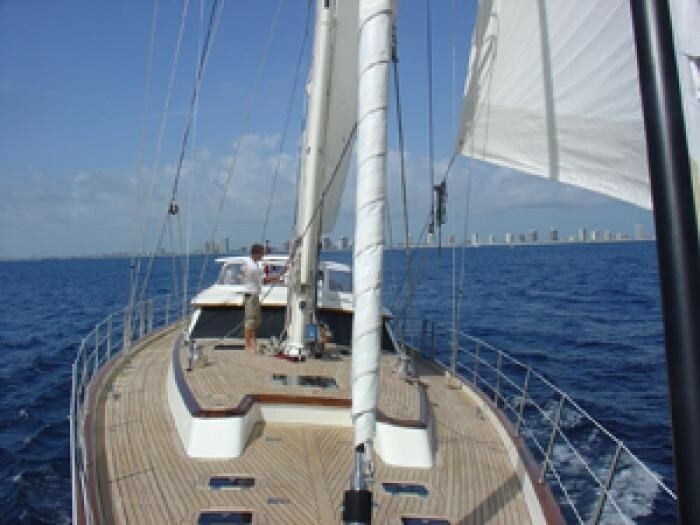 The luxury yacht FIRST LIGHT displayed on this page is merely informational and she is not necessarily available for yacht charter or for sale, nor is she represented or marketed in anyway by CharterWorld. This web page and the superyacht information contained herein is not contractual. All yacht specifications and informations are displayed in good faith but CharterWorld does not warrant or assume any legal liability or responsibility for the current accuracy, completeness, validity, or usefulness of any superyacht information and/or images displayed. All boat information is subject to change without prior notice and may not be current.